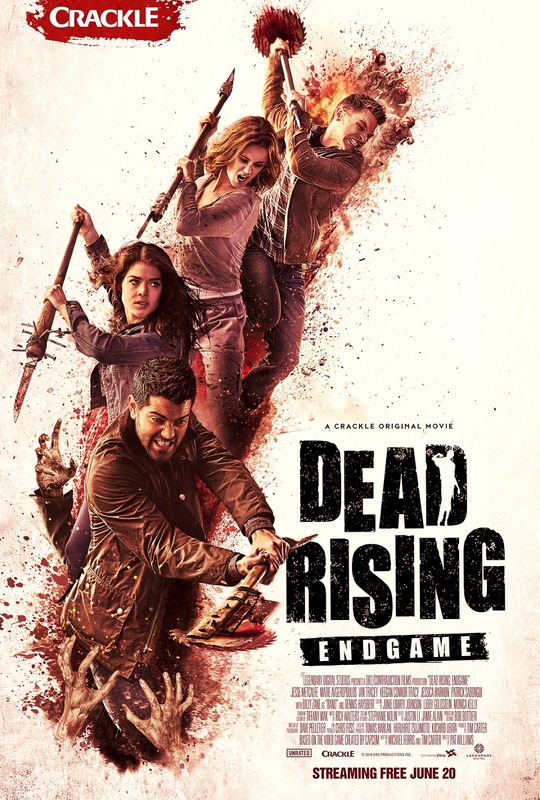 WHAT: Celebrate the 10th Anniversary of Capcom's beloved Dead Rising franchise with a discussion about the recent release of, DEAD RISING: ENDGAME from Crackle and Legendary Digital Media. WHO: The film’s stars Jesse Metcalfe (“Desperate Housewives,” “Dallas”), Marie Avgeropoulos (“The 100"), Jessica Harmon (“iZombie,” “The 100”) and Keegan Connor Tracy (“Once Upon a Time,” “Bates Motel”) will join in a panel discussion, along with director Pat Williams (“Continuum”), co-writer and producer Tim Carter and executive producer Tomas Harlan(DEAD RISING: WATCHTOWER, MORTAL KOMBAT: LEGACY). Got Zombrex? The panel will be moderated by IGN’s Eric Goldman. For more information, visit the official DEAD RISING movie Facebook Page and follow @WatchDeadRising on Twitter. Join the conversation with #DeadRisingEndgame and #Crackle. Crackle, a unit of Sony Pictures Television, programs Hollywood movies, popular TV shows, original series and feature films for the world’s connected audience. Available in 21 countries on every screen, Crackle is always freely accessible with no subscription or commitments required. The streaming service houses a robust library of original programming available anytime, anywhere on every connected device. Crackle is available on Facebook or follow @Crackle on Twitter for real time updates. For additional information, please go to www.crackle.com. Legendary Entertainment is a leading media company with film (Legendary Pictures), television and digital (Legendary Television and Digital Media) and comics (Legendary Comics) divisions dedicated to owning, producing and delivering content to mainstream audiences with a targeted focus on the powerful fandom demographic. Through complete or joint ownership, Legendary has built a library of marquee media properties and has established itself as a trusted brand which consistently delivers high-quality, commercial entertainment including some of the world's most popular intellectual property. In aggregate, Legendary Pictures-associated productions have realized grosses of more than $12 billion worldwide at the box office. To learn more visit: www.legendary.com.